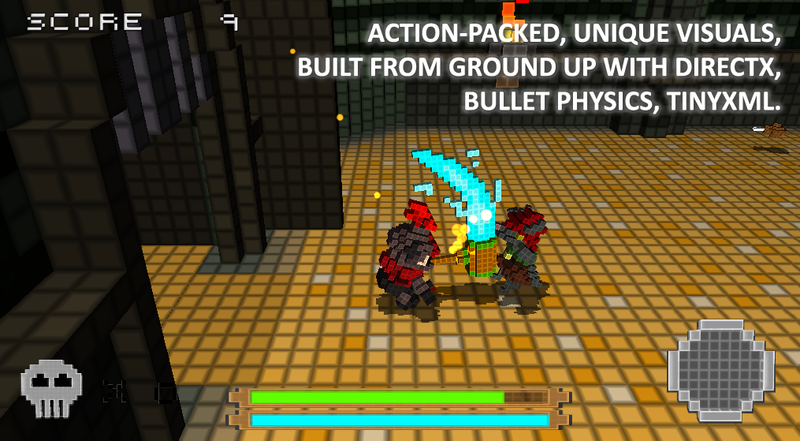 Voxel Smash is a action-packed beat'em up, like a throw-back to the good o'l days of retro games. There is however, a unique spin to the game - Voxel Smash is entirely made up of voxels, that is, hit an enemy, and see them break into hundreds of statisfying pieces! Producer of a team of 7 (3 programmers, 1 designer/programmer, 3 designers/artists). Graphics and tools programmer. 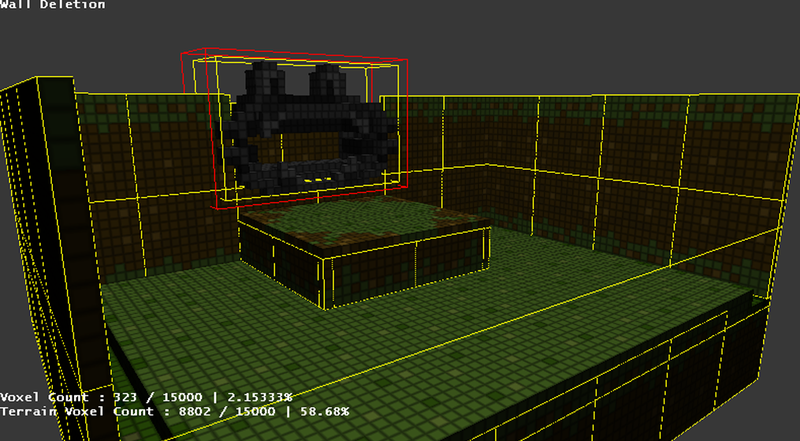 Designed and implemented a voxel based graphical engine using DirectX and its hardware instancing functionality. 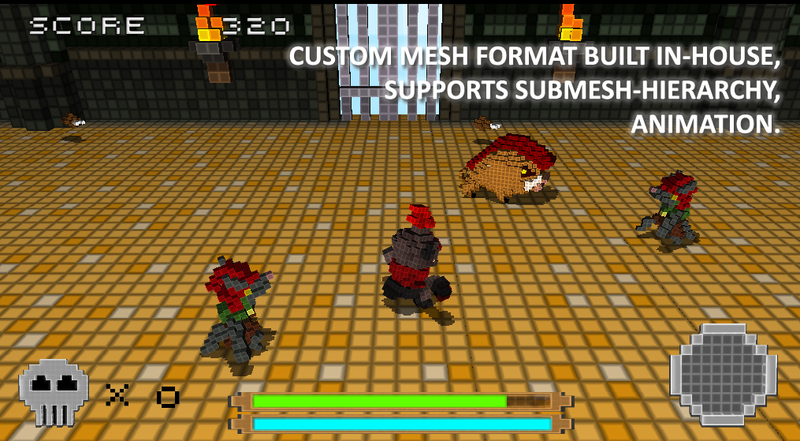 Designed and created a custom mesh format supporting submesh-hierarchy and animation. 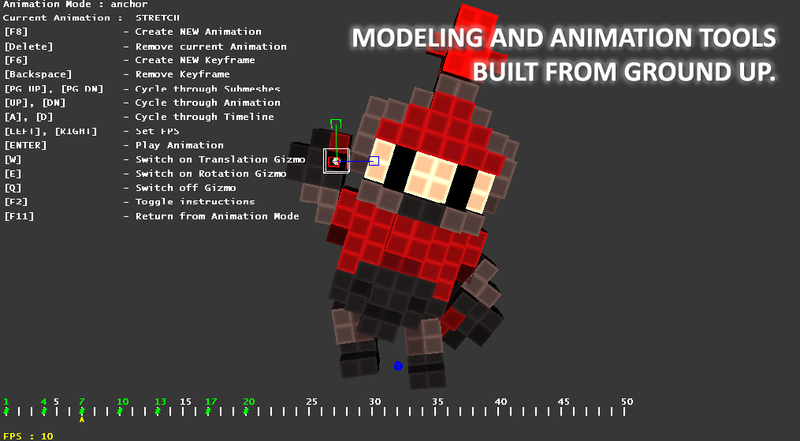 Built the editors necessary to create and animate custom meshes. Responsible for other minor gameplay features like coins collection etc. I have built graphics engines from ground up using DirectX, and have also done various other aspects of a game, such as physics and gameplay. In my free time, I take monstrous delight in making flash games/prototypes, where I create my own art (and occasionally sound) assets.